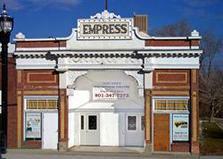 Empress Theatre - $2.00 discount to any performance. Tickets can be purchased online at empresstheatre.com (use coupon code UTAHKIDSCLUB), or by calling our box office at (801) 347-7373 (mention "Utah Kids Club" to receive the discount). All performances are $10 before discount.